Yesterday, I wrote about an experience with a shop, which was not very pleasant. Yes I go to shops almost every day and sometimes things don’t go as good as I expect. I received several feedback that you had good shopping experiences in Japan. Generally, shop employees in Japan are well trained and make people feel welcomed. What do you think? So today I want to write good experiences! As you may be aware, Lancome is not a place I often go to. There are rarely Japan-limited products, and people don’t ask me to buy, relative to Dior, for instance. Yet I sometimes go to Lancome, and the closest one is located in Shibuya. This time, a limited lipstick of Lancome was out of stock in all shops I called. So I called the customer center, which only suggested me to call each shop, which I have done. I almost gave up on getting it, but I wanted to ask the one in Shibuya one more time though I did not expect much. The shop manager was there, and she made the other client wait and checked if there was the stock anywhere on the computer. She found 5 shops that had the stock. As people were waiting, I told her that it was more than enough, and I was going away with those telephone numbers. But she insisted on calling shops. After she called three shops, and I felt guity with making other people wait, and I asked her to stop calling, and I left there. She gave me two numbers. After I got back to the office, I called one shop in Yamanashi, west of Tokyo, and luckily they had one ! Well, the cutomer center said they had no idea, and Isetan said all shops had no stock…. Next day, I went there to thank her though she did not seem to think it was a big deal. Thank you for reading again, and I will write tomorrow about some cultural aspects of Japan. Today I want to talk a little bit about the Japanese history. Yesterday I mentioned Ieyasu Tokunaga who was born near Hakone. He is one of the most known Japanese in Japan, mostly in good ways. I had a co-worker from Malaysia, who became a Japanese citizen . He picked a Japanese name ‘Tokugawa.’ He told me every Japanese knows Tokugawa! It is true. Ieyasu was the first Shogun for the Edo(Edo is Tokyo now) period, which lasted about 300 years from the year 1600. He governed Japan in a unique way by closing a door to the world and trading with only two countries （ China and Holland) . This policy apparently developed Japan’s unique culture, on the other hand, the technological development was limited. I sometimes think : it may have been different if one samurai was not killed. His name was Nobunaga Oda. Nobunaga, the boss of Tokugawa, almost conquered Japan but in 1582, he was killed by one of his disciples, Mitsuhide Akechi, in Kyoto. He employed a strategy using guns not ‘Katana,’ a traditional sword. He created a free trade city. He promoted his subordinates only by performances, not by which family they were from. He loved the new culture , especially, the Western culture brought by Portuguese. It is said that Nobunaga was killed by some powers who did not like changes. And Akechi was only controlled by them. As a result, Tokunaga became the Shogun and Japan did not change much for 300 years. The Japanese culture would have been different with more international influences : Maybe Japanese speak English better now LOL. By the way, the first African came to Japan in the 16th century and met Nobunaga. He was named ‘Yasuke’ and became a samurai. He became one of the Nobunaga’s close disciples. He fought with Nobunaga in Kyoto but after some battles, he was ordered to run for a help. He was captured, but was not killed by MItsuhide and lived longer. I wonder what happened to him…. Sorry I haven’t written a letter for a while. Now it is the autumn and I say it may be one of the best seasons in Japan. ( summer in Japan is too HOT). Especially the mountains are beautiful with autumn leaves. I grew up in Hiroshima and the red leaves were all over. We even had monkeys ( Japan monkey – Nihon zaru ) . Yes, we have wild monkeys in Japan! I was helping my grandmother’s vegetable farm when I was about 7 years old, and one monkey came to the farm, I was hoping to be a friend, we were staring at each for five minutes, but he or she just ran away. I remember the scene so vividly) . Cold day in the autumn. Now I live in Tokyo, and I need to take a train or car to see red leaves. This time, I went to Hakone. Hakone has many mountains and you can see Mt. Fuji if the weather is good. And onsen (hot Spring )! Hakone is also close to a town where Ieyasu Tokugawa, Samurai Shogun was raised. I want to write a little bit of Japanese history next time. Thank you for reading again, and I will write tomorrow ! If you love people watching, which I like, you can sit at Starbucks (bottom right picture) or Loccitane cafe across Hachi. Actually, Loccitane has more space and you can be relaxed there. There is also a cafe at Excel Hotel lobby ( a tall building behind Hachi ) where you can see Shibuya Crossing a bit far but you can enjoy good view) Hoshino Coffee in the Men’s 109 building as well. As for shopping, if you go to Tokyu (Top right) and Seibu (Bottom left), you can buy most of Japanese brands. If you fancy Laduree or Chicca, you need to go to Isetan Shinjuku but it is only 10 minutes away by subway. SUQQU: I was looking for a good picture for new products to repost, but I was not able to find it so I attach a link here. Here is a link for pictures of new products as well. I will talk about each brand in my next newsletters. Today is January 1, 2018. As for shopping, most of shops are not open on January 1. I heard Seibu was open, but Takashimaya tomorrow, and Isetan/Mitsukoshi from January 3. And Fude companies are on holidays till January 4 or 5. Sorry I don’t have any photos of makeup today! This is the first newsletter I have ever created, and as I am new to newsletter ( I used ‘mailchimp,’ by the way), I know it doesn’t look professional. I will try to improve the design and format mail by mail. But I think I should try sending newsletters because my instagram has limited information, and there are more than 10,000 pictures, which I know it is difficult to look for. Now that it is New Year, I want to introduce some Japan limited makeup products. I was born and have been raised in Hiroshima till I entered a university in Tokyo. On graduating from school, I began to work for Canon for accounting. Well, I studied marketing at university, but accounting has been fun to do and I have been working as an accountant since then. I had an opportunity to work for Canon USA in Long Island NY and study at The University of Texas at Austin. I lived in USA for five years in total. While I was in USA, as a baseball fan, I tried to watch games at as many ballparks as possible. I went to Minneapolis, Milwaukee, Arlington, Cleveland, Anaheim, LA, Yankee and Shea Stadiums. I still do consulting on accounting, but I find it more fun to sell ‘Japan’ products to overseas. Many of my clients refer to other clients and some bloggers mention about me ( thank you!) , now I have sent products to all continents but South America. 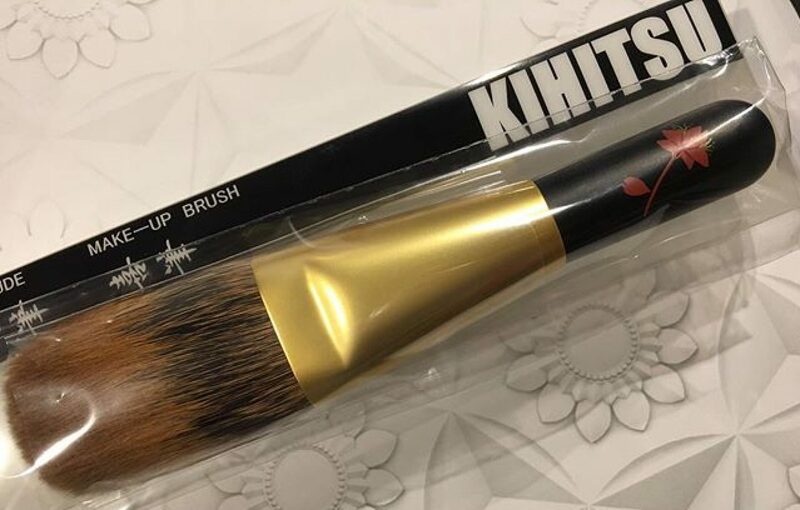 I buy makeup brushes from Kumano, Hiroshima at wholesale prices while I buy makeup products at department stores. That is why I add my fee to prices I paid. I work in an area called ‘Shibuya’ known for a statue ‘Hachi,’ a faithful Akita Inu(dog). Shibuya has most of brands but for some brands like Laduree, Armani, Tom Ford, Takeda etc. I need to take subway to Shinjuku or Ginza so it sometimes takes more time. I think it gets too long now so I will continue tomorrow. Following links show two Hakuhodo sets in january. I will add more in my next letter.